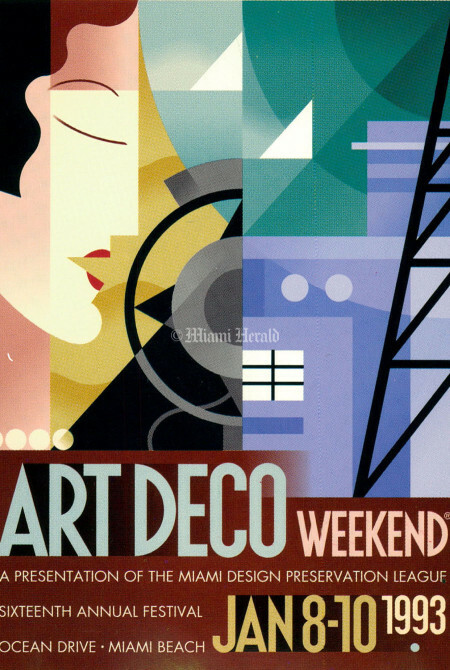 With roots in Europe as far back as the 1880s, Art Deco rejected the ornate excesses of Victorian architecture. It had burst on the American scene after the 1925 Exposition International Des Arts Decoratifs et Industriels Modernes in Paris. 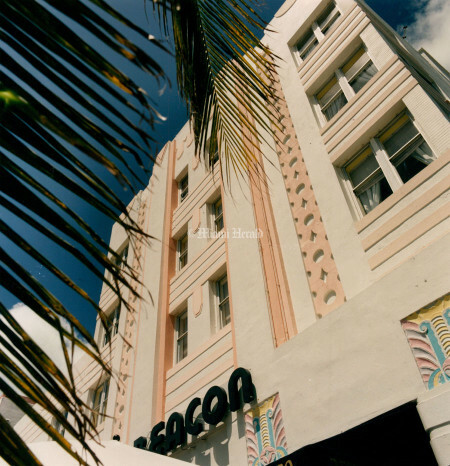 The style arrived in South Florida at a time when Miami Beach was a blank slate – struggling to rebuild as a tourist mecca after the 1926 hurricane. 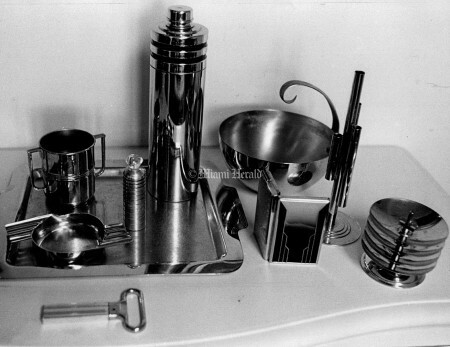 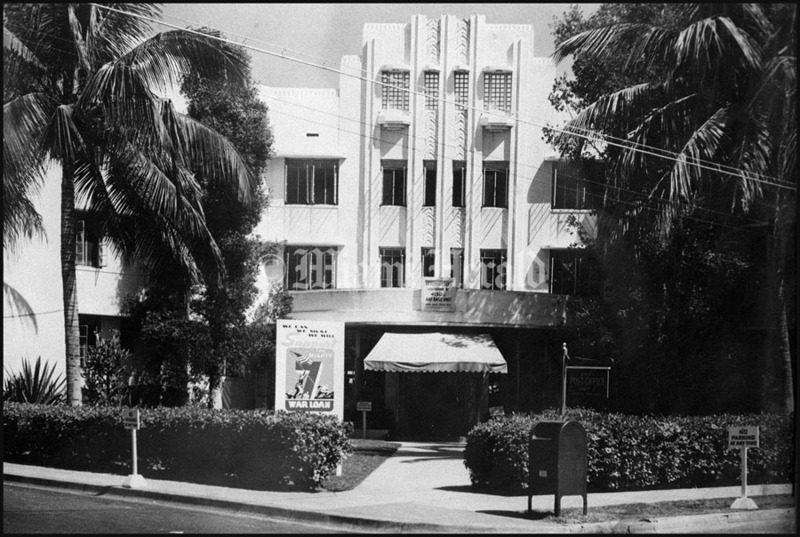 And throughout the 1930s, nearly 800 Art Deco buildings were built. It wasn’t until the mid-1970s when Barbara Capitman, then a recent widow and newcomer to South Florida, first saw the dilapidated stucco buildings that, with their streamlined facades and Buck Rogers spires, would become her obsession. 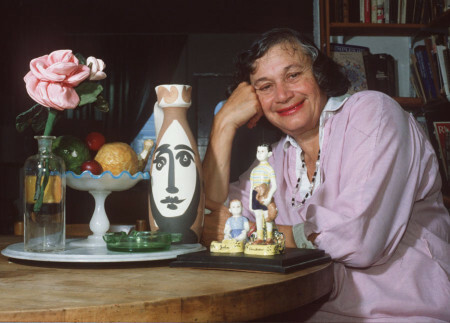 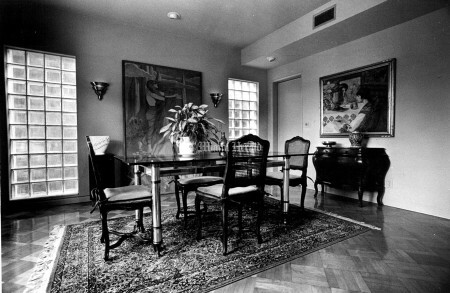 In 1976, she founded the Miami Design Preservation League with a group of like-minded artists and designers. 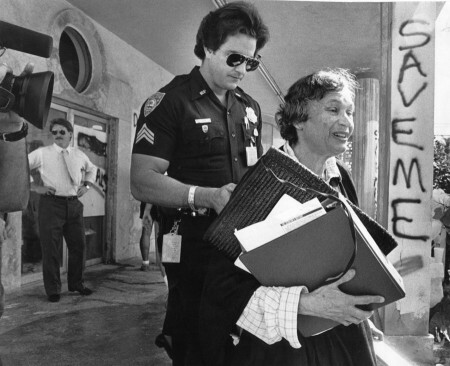 They began the battle to save the long- neglected seaside neighborhood from forces ranging from fire to neglect to demolition. 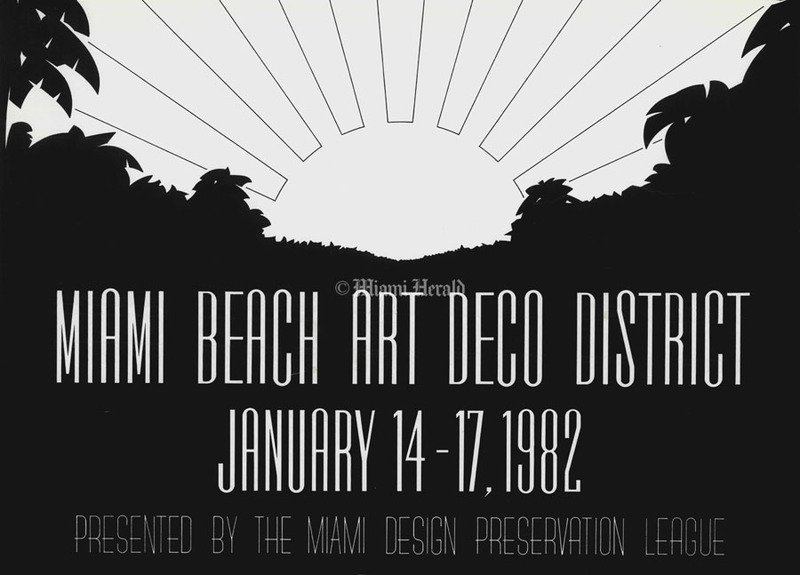 Art Deco Weekend dates to 1977, when a few early members of the Miami Design Preservation League tried to attract attention to the crumbling architecture of South Beach. 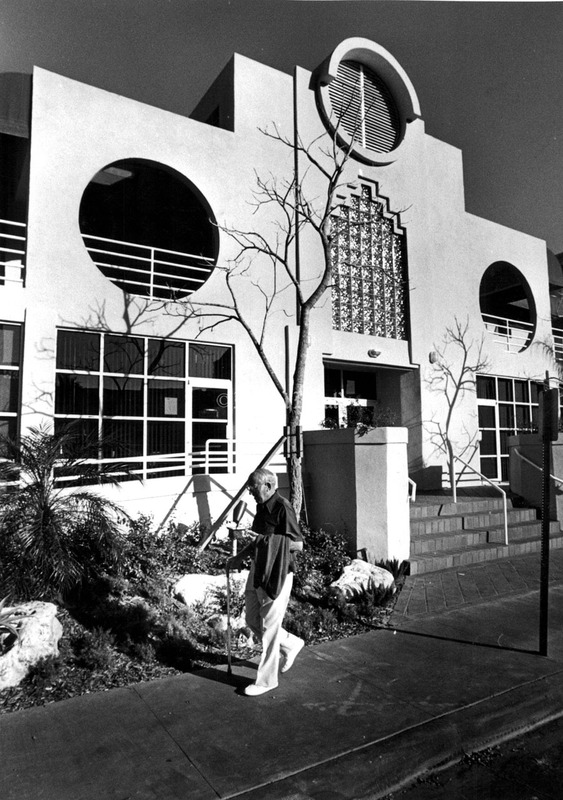 In 1979, led by Capitman, the league got the district and its inventory of Tropical Deco buildings listed in the National Register of Historic Places. 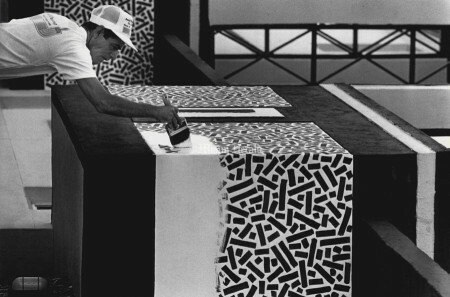 In 1982, league co-founder Leonard Horowitz got a grant to paint a shabby block of Washington Avenue. 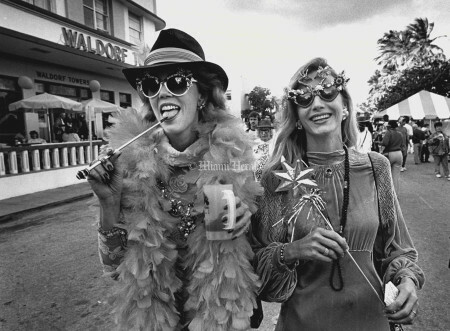 Out went the beiges; in came the pinks and lemons and blues. 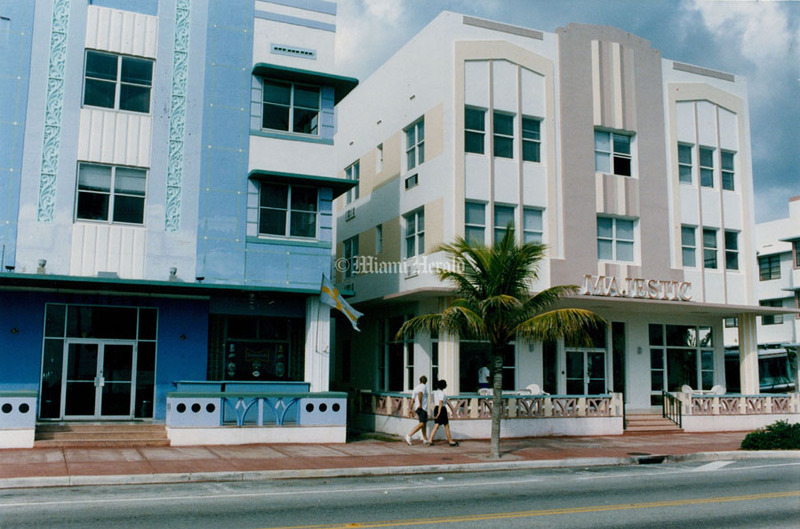 Today Miami Beach’s Art Deco district is greatly respected in the in world of architecture and stands as the purest concentration of Deco architecture in the world. 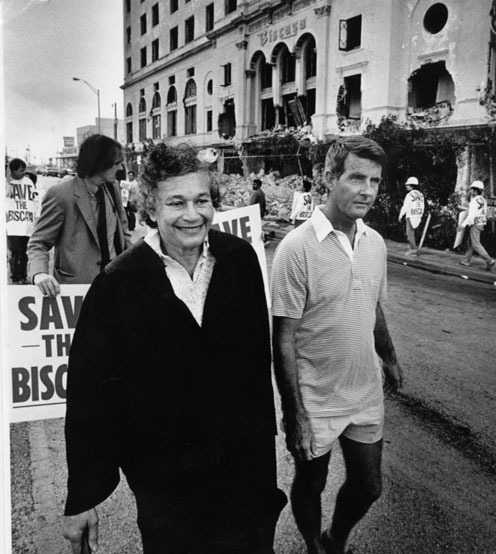 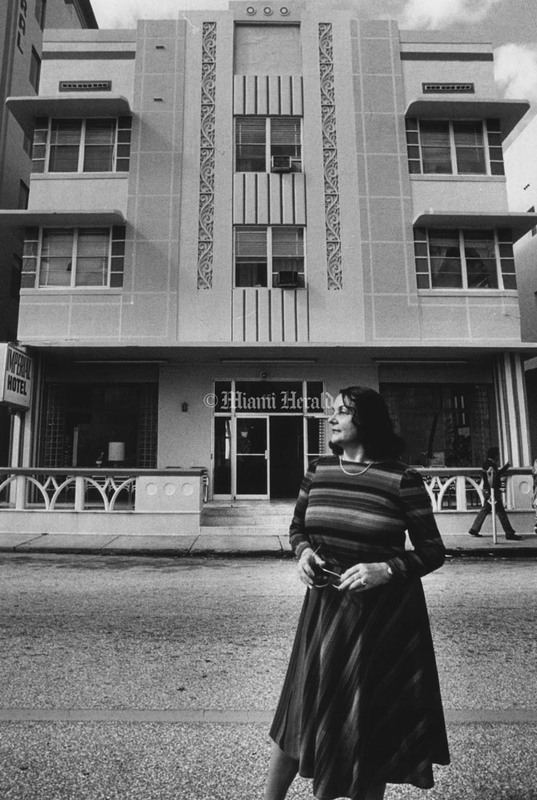 1/15/1984, Randy Bezemore/Miami Herald Staff: Maria Eden in front of her hotel, Imperial Hotel on 650 Ocean Dr.
10/13/1988, Randy Bazemore/Miami Herald Staff: Barbara Capitman is escorted off the terrace of the Senator Hotel after trying to place a plaque on the front door of the hotel before it was scheduled to be demolished. 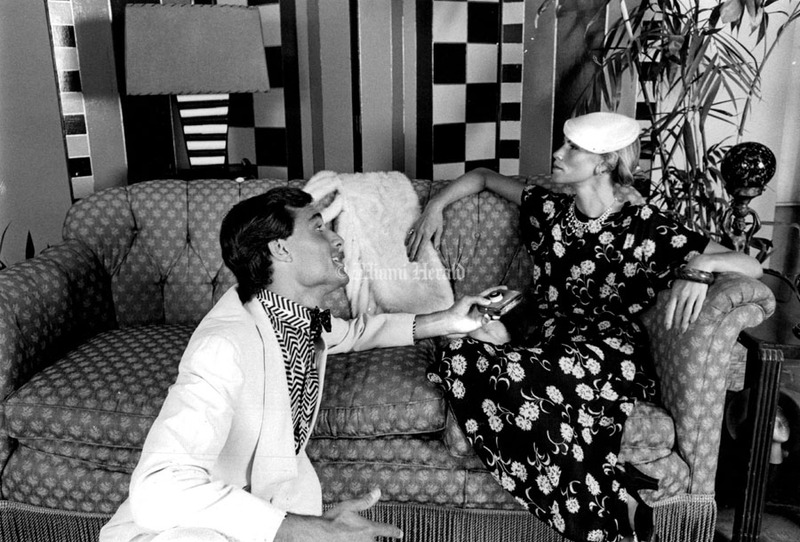 4/22/1982, Michel duCille/Miami Herald Staff: Barbara Capitman relaxes at home in Miami Beach. 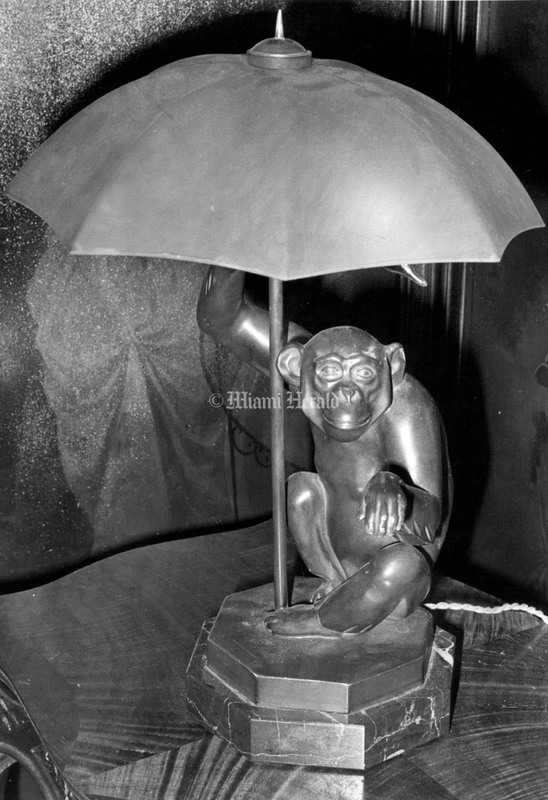 Undated: Monkey lamp with umbrella, Art Deco piece. 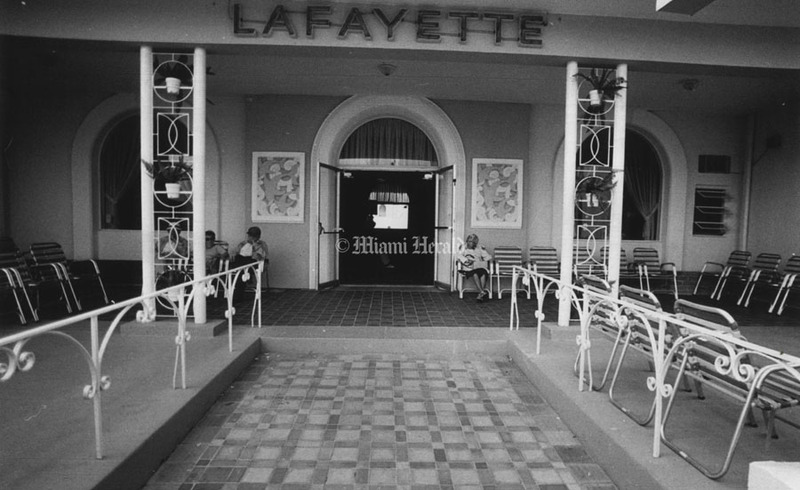 4/11/1982: Art Deco style, Miami Beach. 5/30/1979, Bob East/Miami Herald Staff: Art Deco. 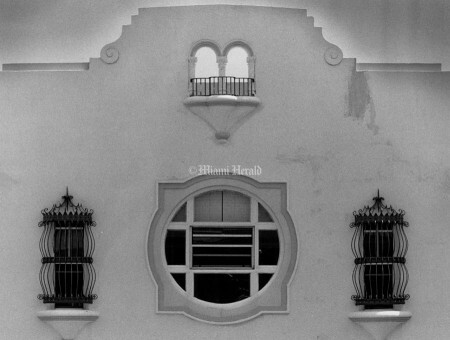 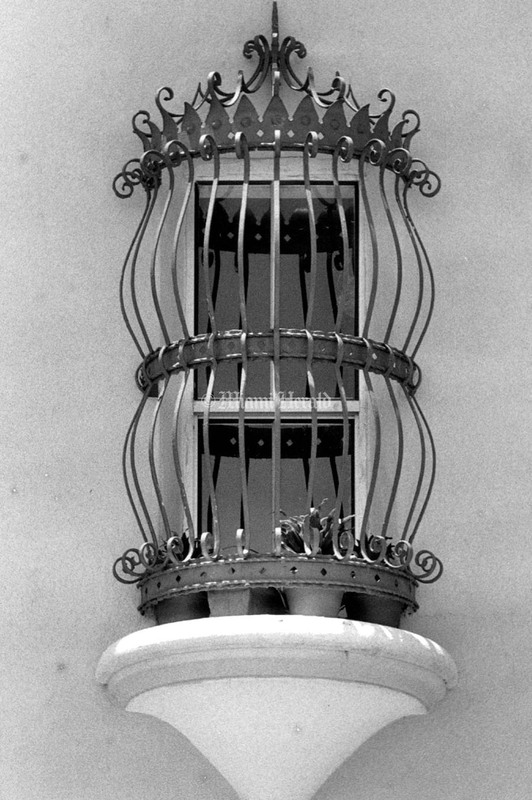 7/6/1988, Randy Bazemore/Miami Herald Staff: Detail shot of a window at the Parc Vendome at 13th St. and Meridian. 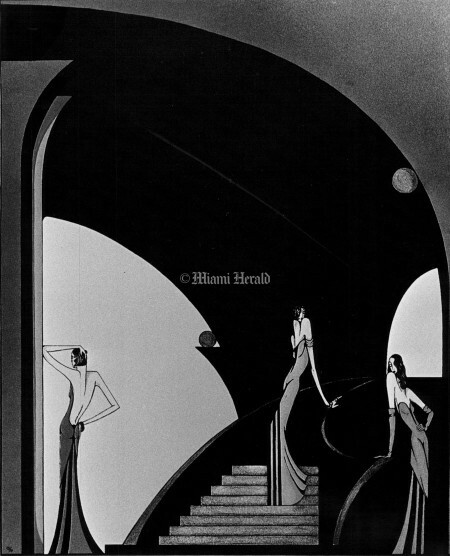 1/1/1977, Joe Elbert/Miami Herald Staff: Art Deco. 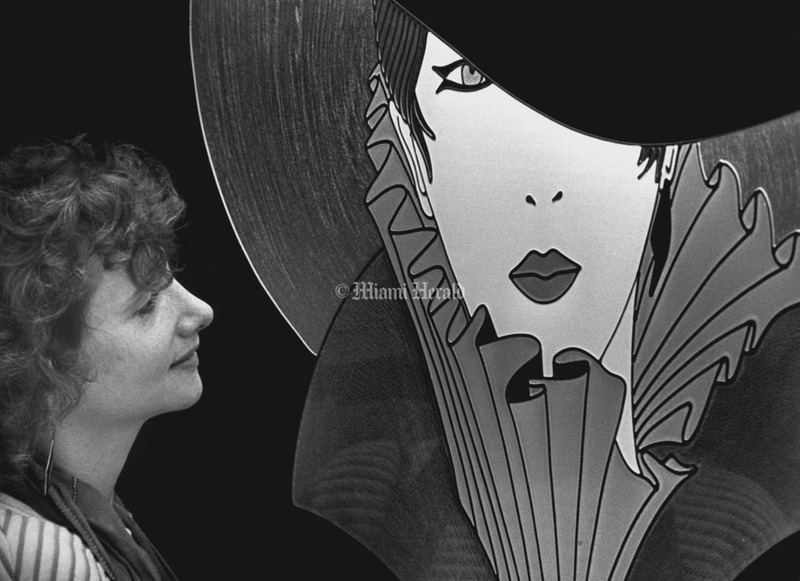 6/8/1989: "Ladies of the night" lithograph by Noel Suarez. 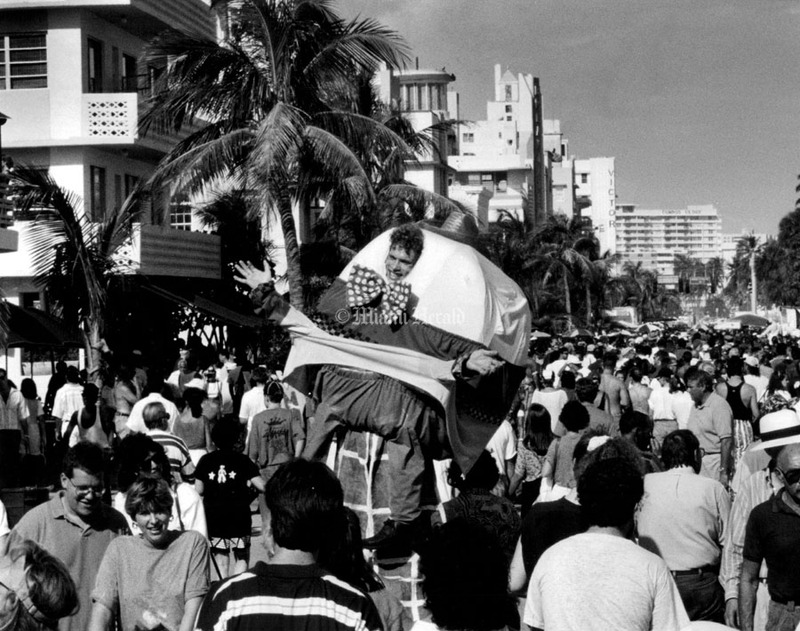 1/13/1990, Marice Cohn Band/Miami Herald Staff: At about 9th St. and ocean drive Justin West, 7 years old, being curious at the art deco festival from South Dade area with wooden flamingo. 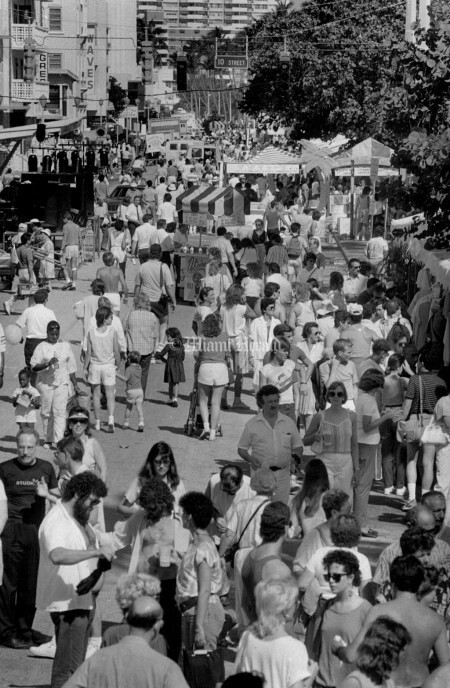 1/10/1992, Carl Juste/Miami Herald Staff: Vendors prepare for the Miami Beach art deco festival this weekend. One of the many vendors specializing in deco paraphenailia, setup for festival. California dream, a wholesale-retailer specializing in collectible label art, set up some of their items which be for sale during the festival. 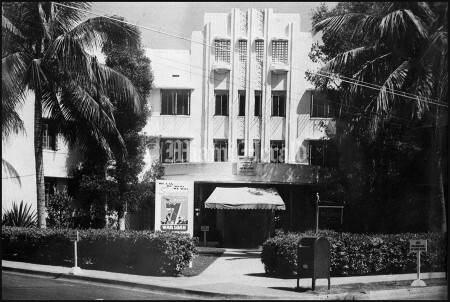 The company is based in the Grove. 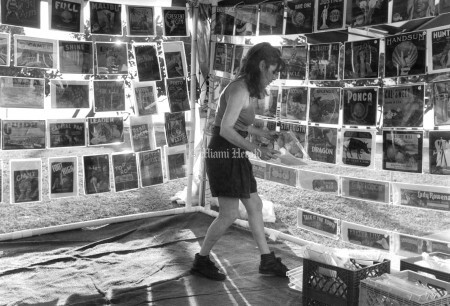 Mary Smith places labels on display for this weekend festival. 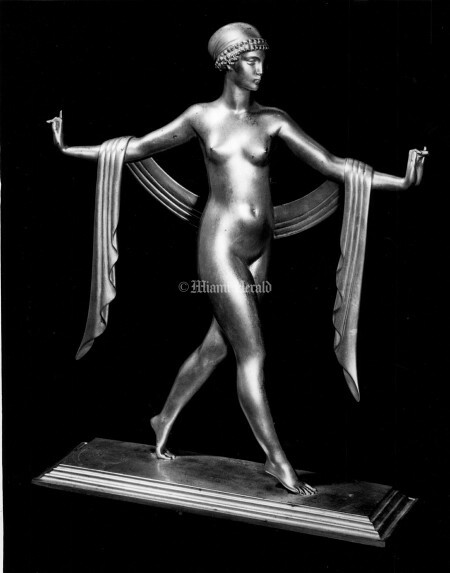 6/27/1982: The Greekdance by C. Paul Jennewein Gilt bronze American, 1926. 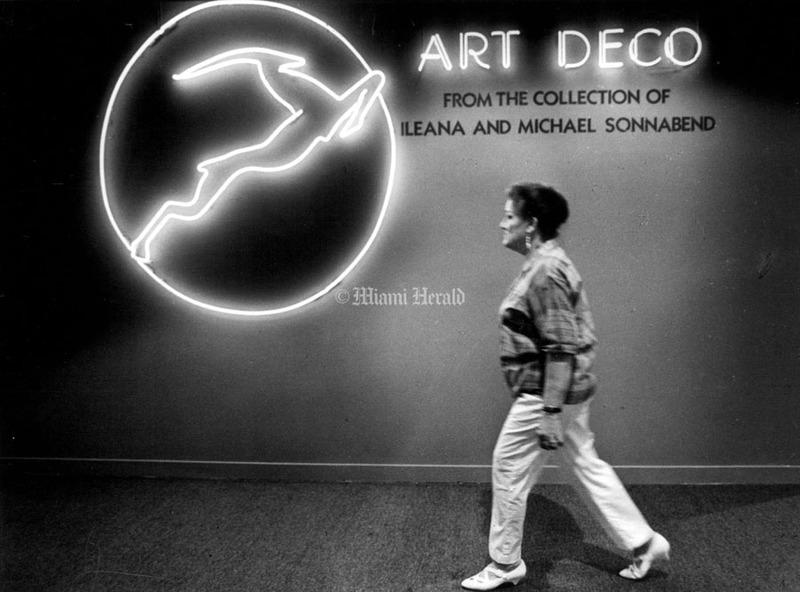 7/1/1985, Carol Guzy/Miami Herald Staff: Art Deco Exhibit - Cariy Vidueira at entrance. 5/18/1978, Bob Easr/Miami Herald Staff: Art Deco items at Vizcaya. 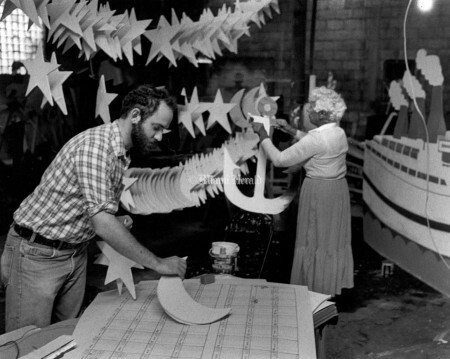 12/17/1983, Bob East/Miami Herald Staff: Stuart Grant, architect, and Stella Berger getting ready for upcoming Art Deco week. 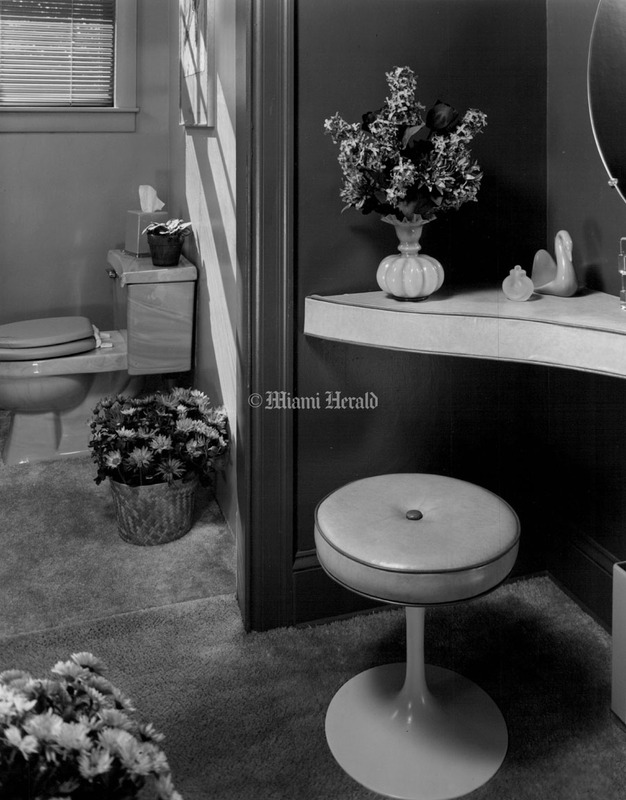 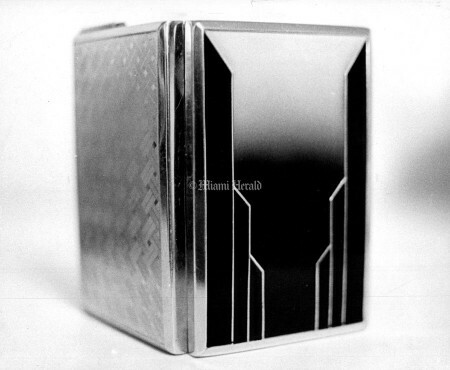 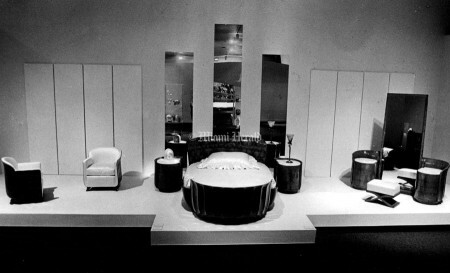 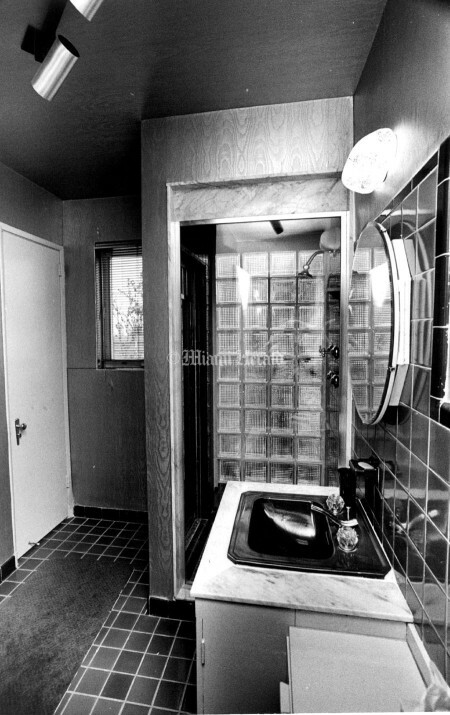 7/1/1985, Carol Guzy/Miami Herald Staff: Art Deco Exhibit - Bedroom set. Undated: Mark D. Shantzis (right) and Robert D. Bevret (left), general partners of Art Deco Hotels. 11/18/1991. Jon Kral/Miami Herald Staff: Art Deco district on Miami Beach. 1/12/1996: The Beacon Hotel on Ocean Drive. 6/20/1982: Art Deco - Miami Beach. 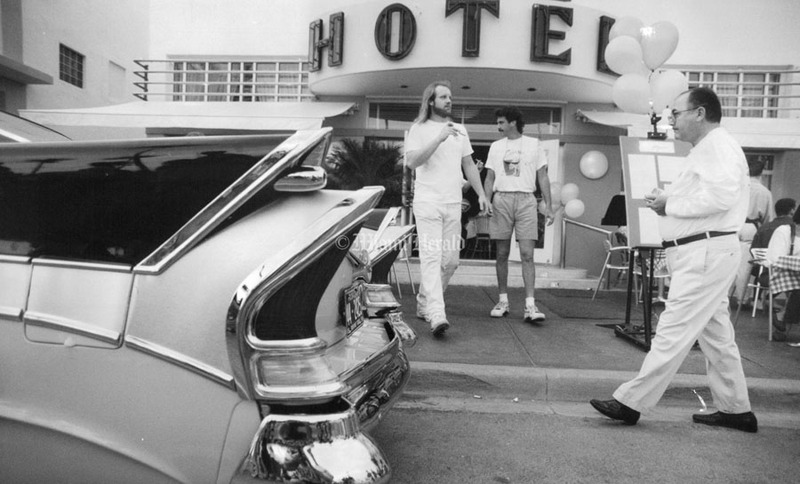 5/15/1994. Marice Cohn Band/Miami Herald Staff: Park Vendome, 736 13th Street. 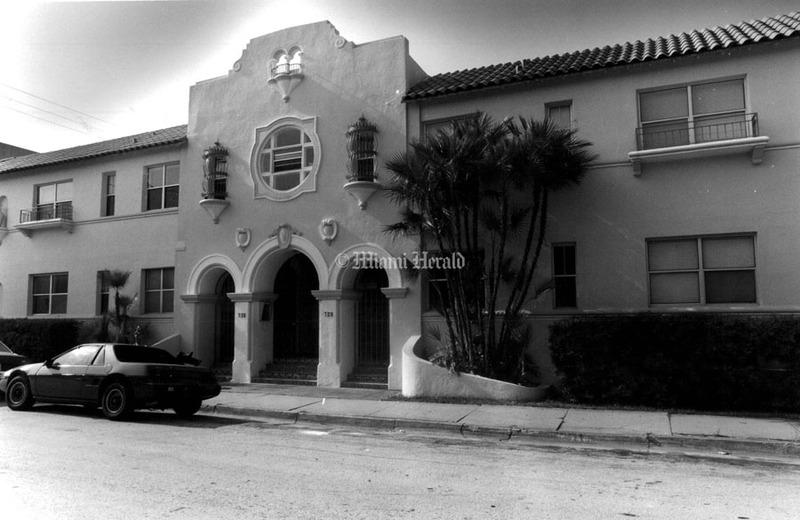 4/29/1991, Randy Bazemore/Miami Herald Staff: Art Deco architecture of an art building at 736 13th Street. 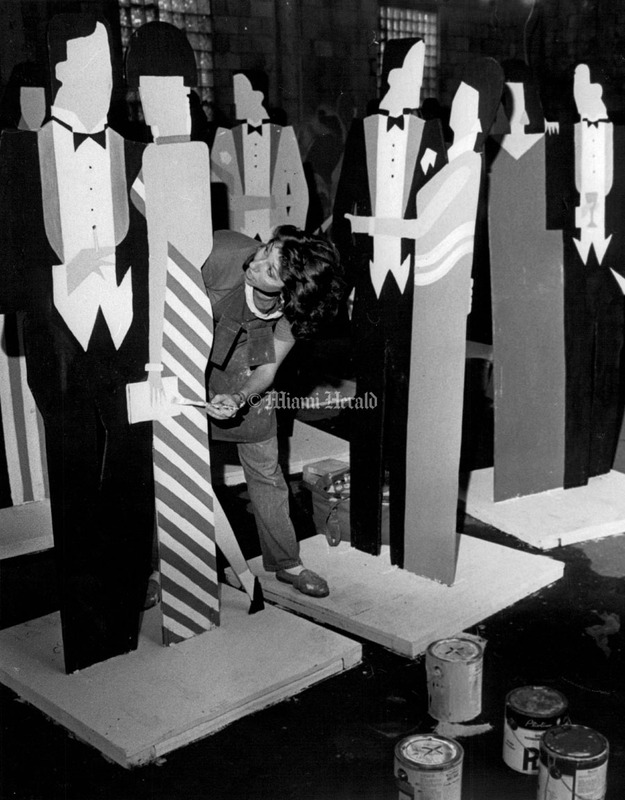 12/17/1983, Bob East/Miami Herald Staff: Old manikins for art deco week are made into new by painter/volunteer Rene Evans. 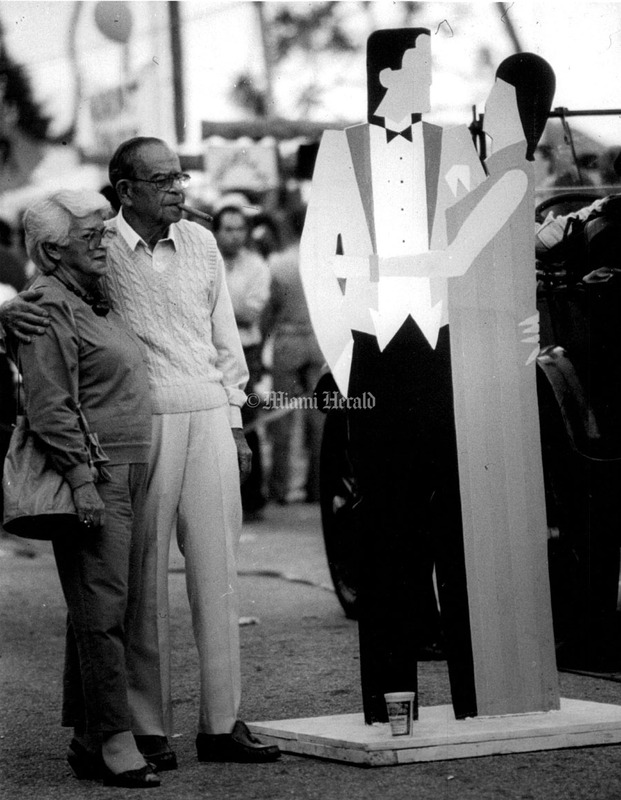 1/13/1984: Jean Suisman and Sam Green of Miami Beach admire this vintage Cadallic during the Art Deco weekend on Miami Beach. 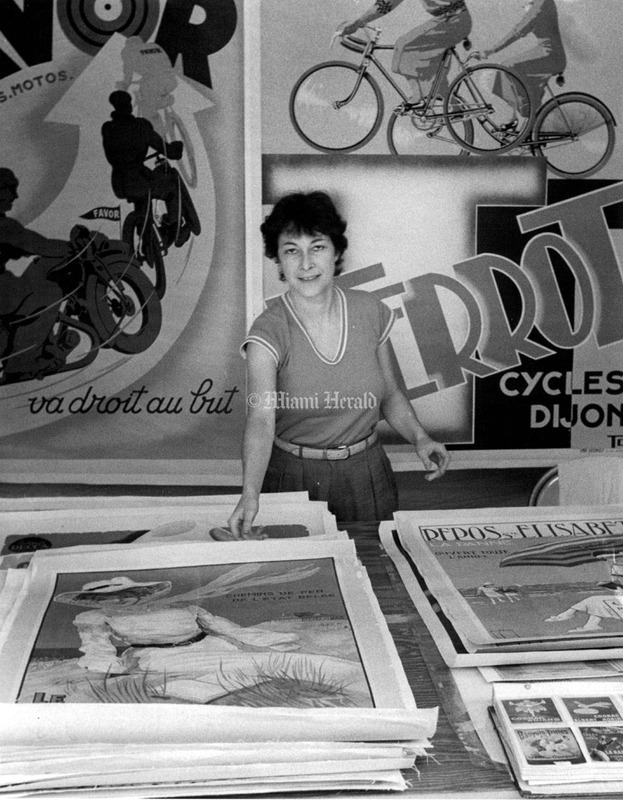 1/13/1984, Rhonda Goodman/Miami Herald Staff: Annie Rousseau shows off her collection of vintage posters that are for sale this weekend at the Art Deco weekend on Miami Beach. 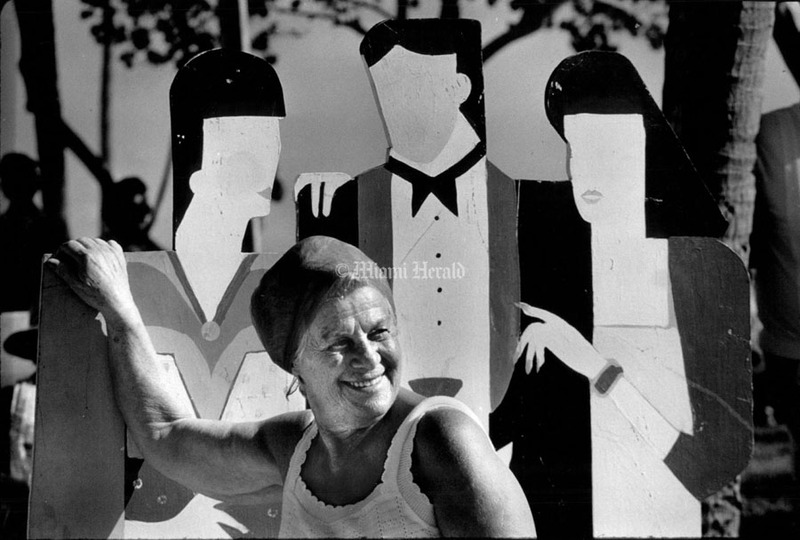 1/13/1991, Marice Cohn Band/Miami Herald Staff: Ocean Drive on Miami Beach, Art Deco festival. 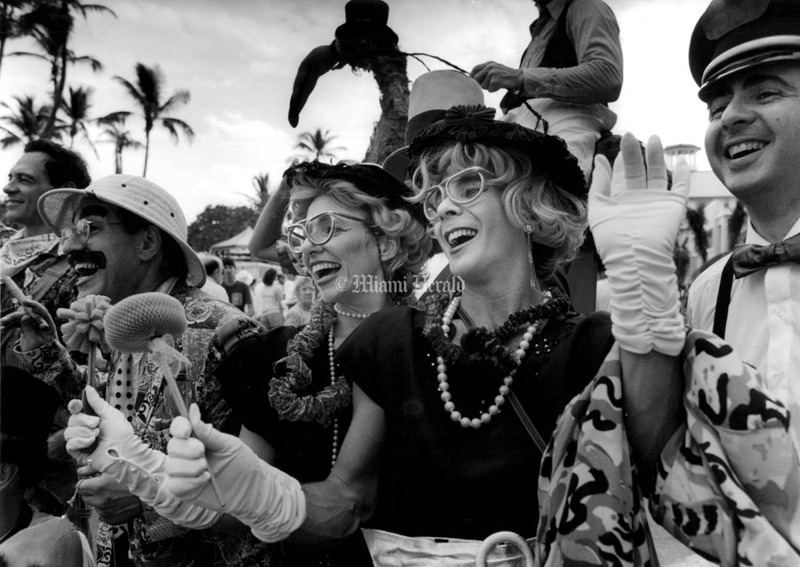 The lovely lemming sisters (left - Ima and Donna) surrounded by other members of the Fantasy Theatre Factory hired to entertain visitors to the annual Art Deco festival. 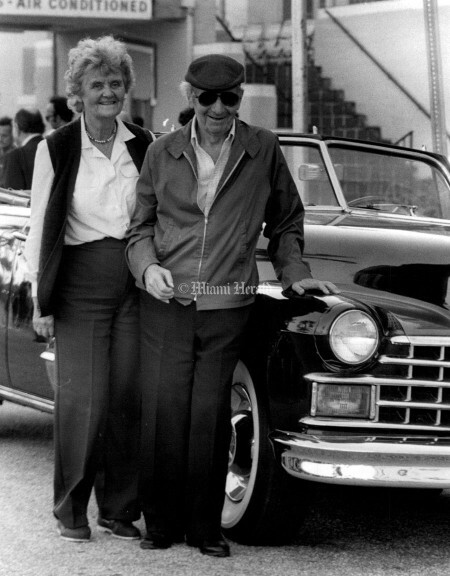 1/15/1989, David Walters/Miami Herald Staff: Helen Lipsmin at Art Deco weekend. 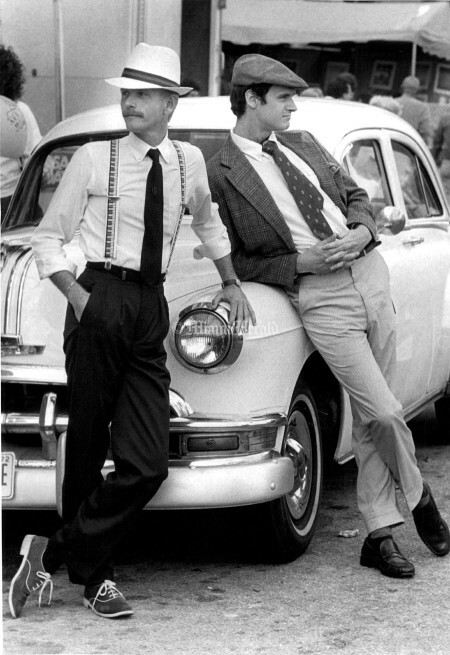 1/25/1984, Bruce Gilbert/Miami Herald Staff: Michael Britt-Henley and Edgar Alan Poe IV get into the swing of things at the people - watching weekend event. 1/12/1992, Bill Frakes/Miami Herald Staff: 1958 Packard sits in front of Colony Hotel on Miami Beach. People walking by looking and listening to the sights and sounds of Art Deco weekend. 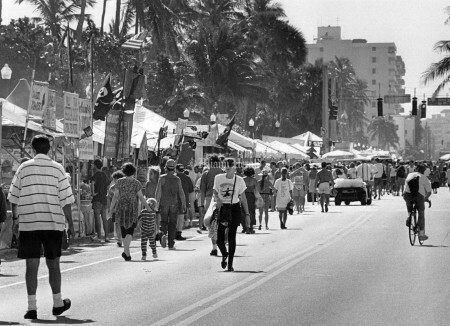 3/16/1993, Randy Bazemore/Miami Herald Staff: Early arrivals stroll down Ocean Drive during Art Deco weekend. 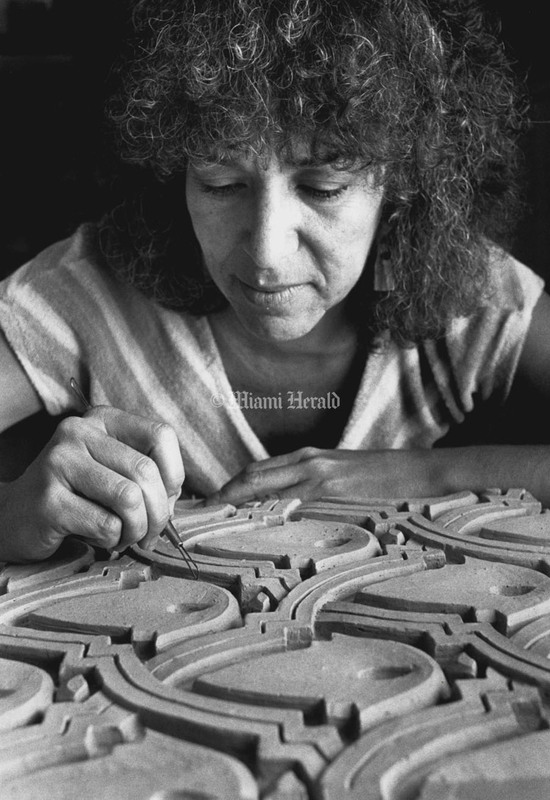 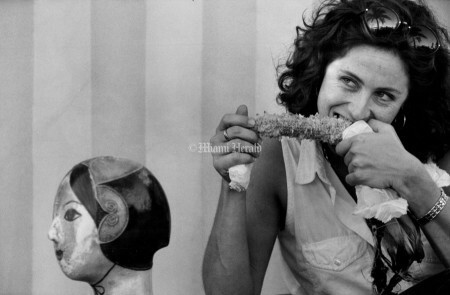 1/8/1993, A. Brennan Innerarity/Miami Herald Staff: Elisa Cellini, a sculptress who lives on South Beach, takes a break from handing out publicity fliers. 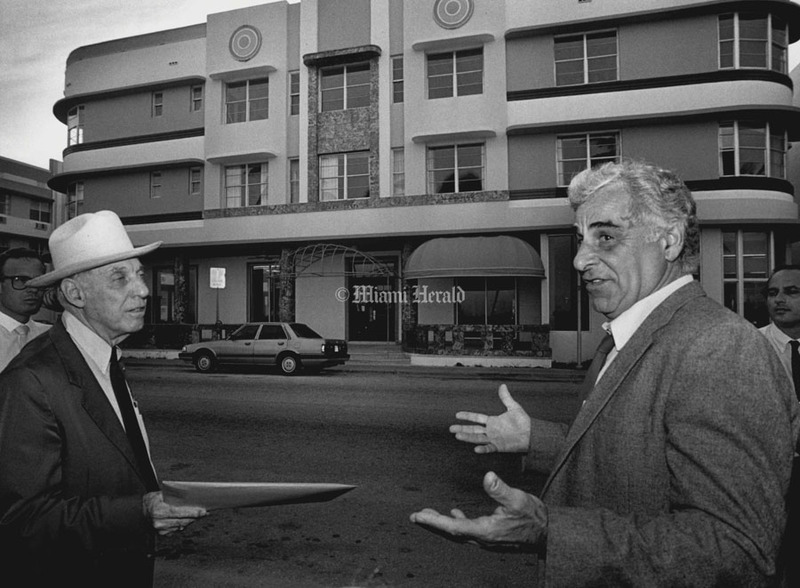 1/10/1993, Al Diaz/Miami Herald Staff: Paul Anderson as H.D. Eggman and a crowded Ocean Drive during Art Deco weekend fest. 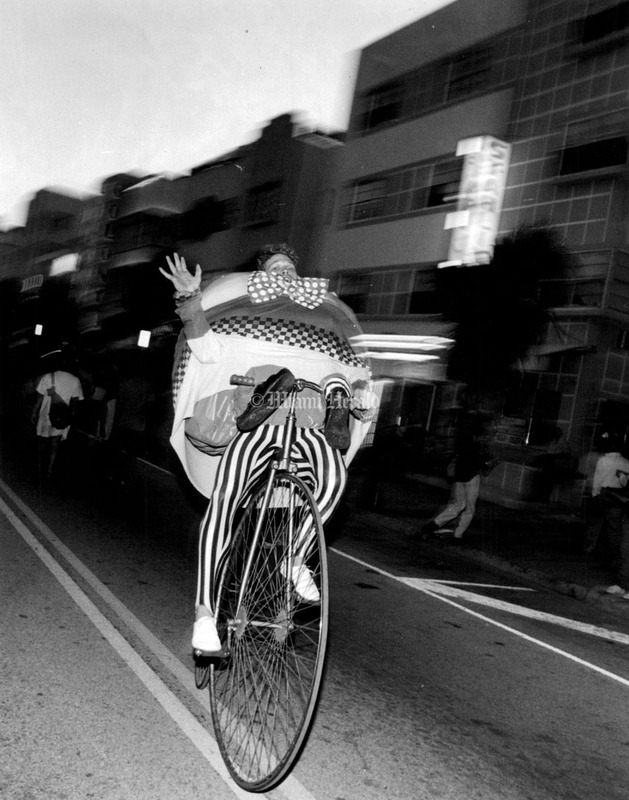 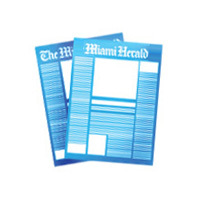 1/8/1993, Robert Koltun/Miami Herald Staff: This cyclist rides Ocean Drive. 1/19/1984, Randy Bazemore/Miami Herald Staff: The dismantling of Art Deco. 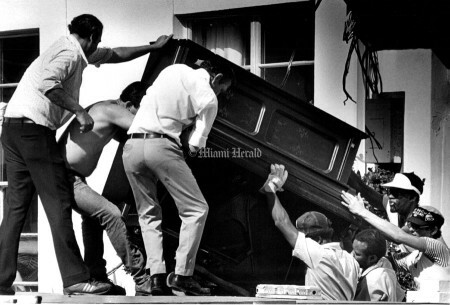 Workers remove piano from stage where Winz held free concerts over art deco weekend. 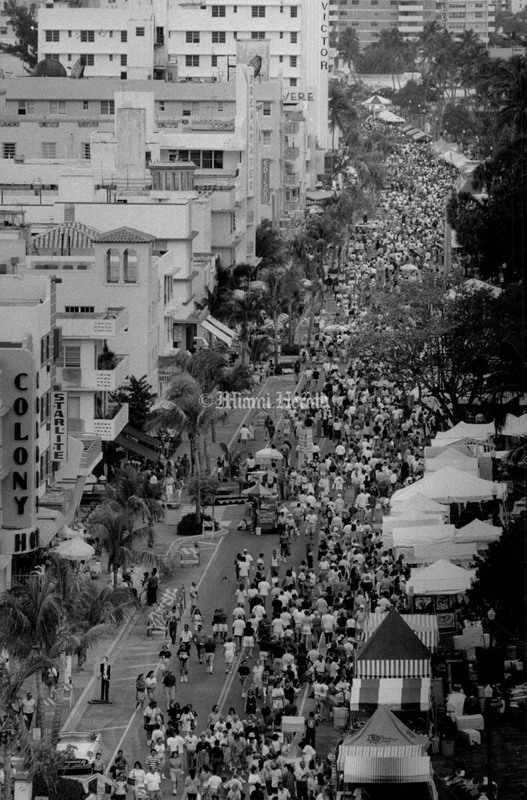 1/12/1991, Marice Cohn Band/Miami Herald Staff: Shot from 5th and Ocean Drive looking north up Ocean Drive. 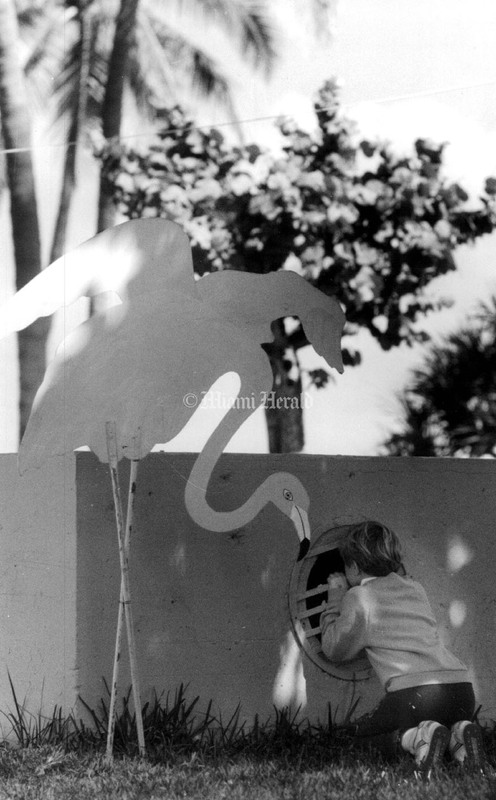 The Art Deco festival on Miami Beach at approximately 2:30 p.m.
1/12/1984, Bob East/Miami Herald Staff: Pink Flamingos are kept in the pink by volunteer painters Wendy Klein and Ken Beberman. 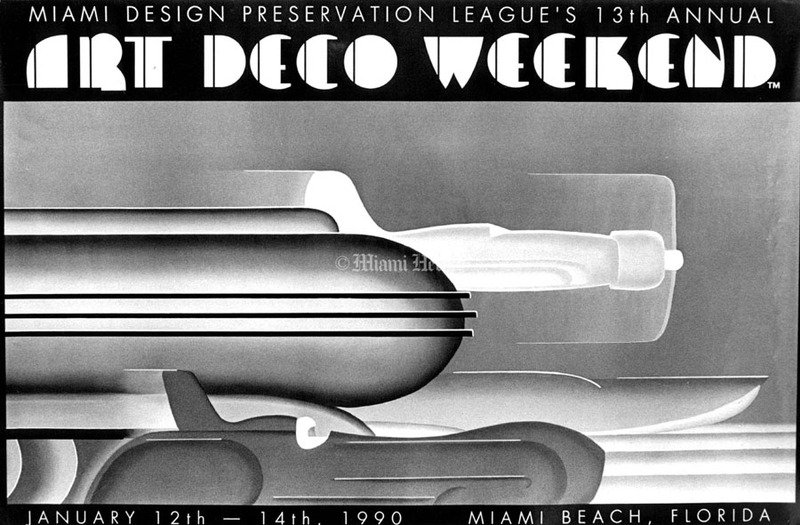 1/18/1987: Art Deco - Weekend. 1/20/1983, Keith Graham/Miami Herald Staff: Stuart Grant, chairman of design committee for the Art Deco Weekend, carries a look alike cut out person around till he found a good home for it - it went in front of a hotel on the steps. The cut out people were part of the props designed and made by the committee as part of the weekend's activities. 01/05/98, Jeffery A. Salter/Miami Herald Staff: Collins Park Apartments on 20th and Park Ave.
1982: Art Deco weekend poster. 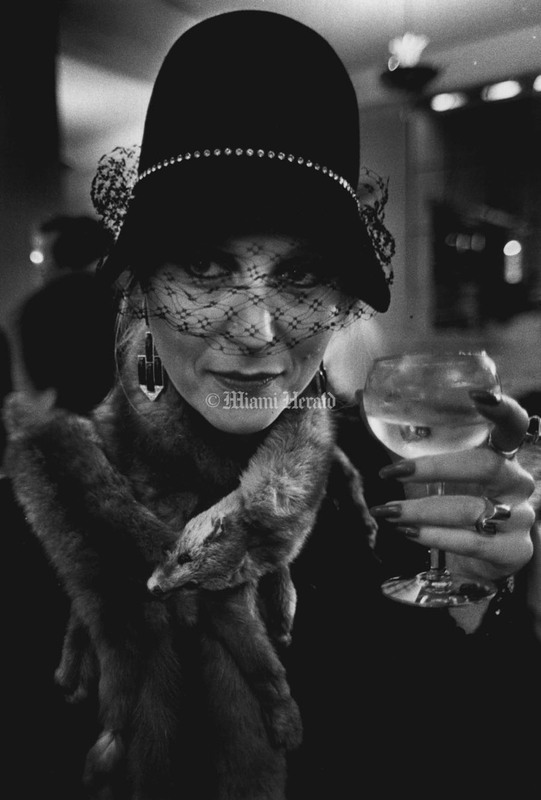 1/17/1982, Murry Sill/Miami Herald Staff: Elaine Gifford at Art Deco Ball, Victor Hotel. 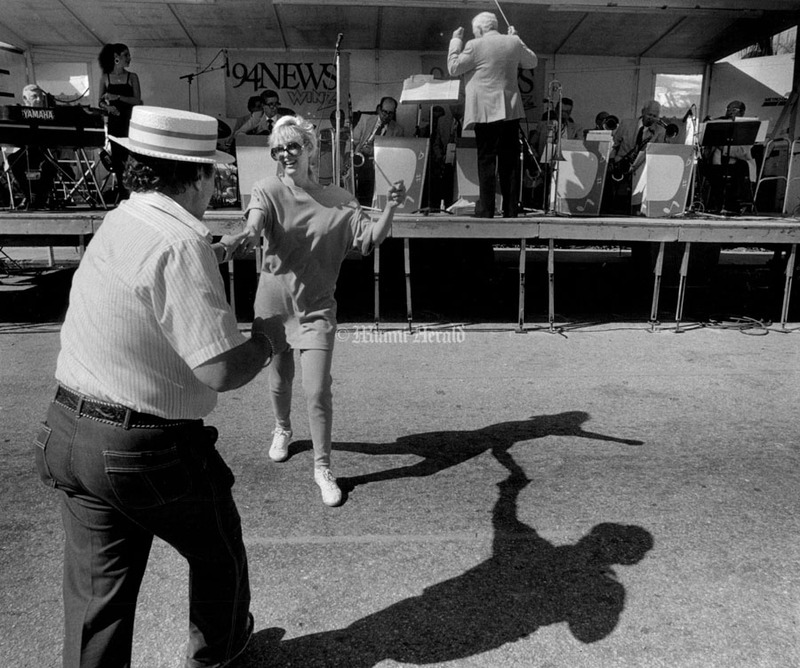 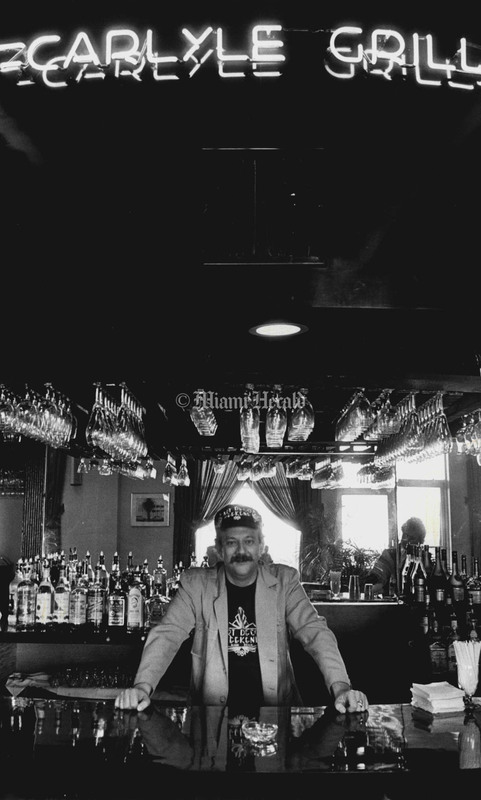 1/12/1984, Randy Bazemore/Miami Herald Staff: Danny Kransdorf during Art Deco weekend. 1/16/1988, C.W. 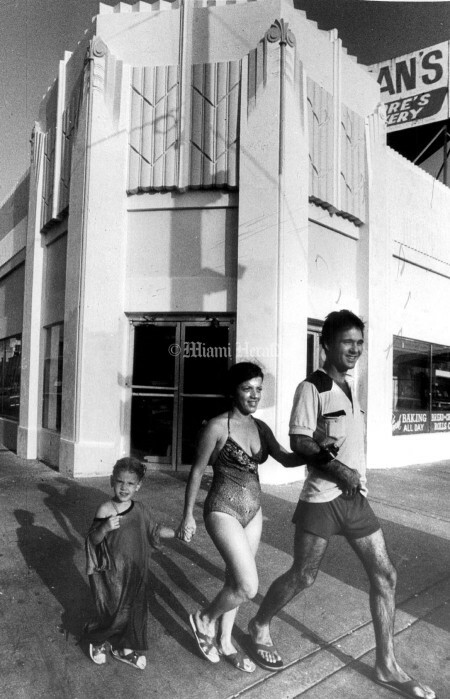 Griffin/Miami Herald Staff: Anne Kylor and Dane Aams of Winter Haven strut their stuff down Ocean Drive on Miami Beach as they enjoy the Art Deco festival. 1/16/1987, Randy Bazemore/Miami Herald Staff: Charlotte Acevedo, 3, checks out an Art Deco graphic at the Miami Beach art Deco Festival. 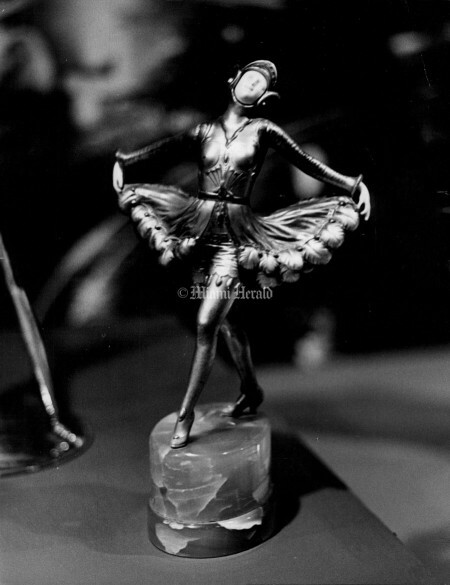 The picture is art deco painting on lucite. 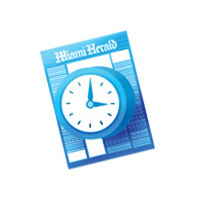 Show runs through Sunday, Jan. 18. 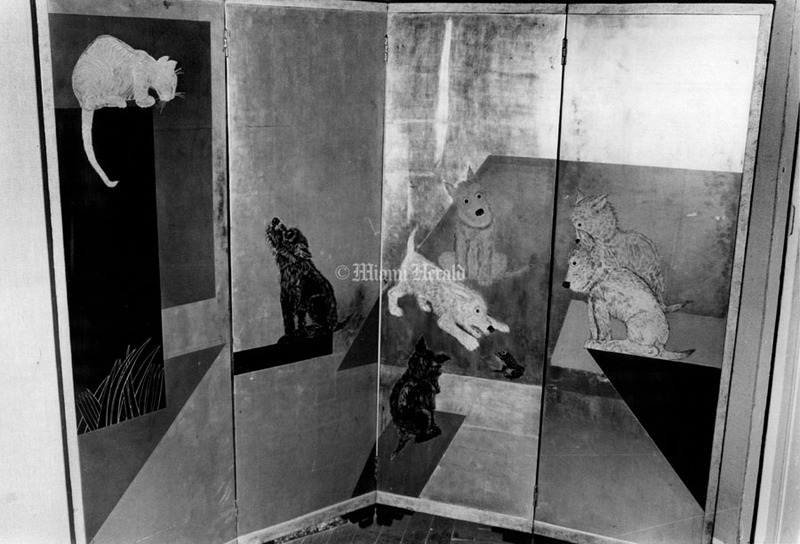 6/23/1988, Randy Bazemore/Miami Herald Staff: Ellie Stern at the South Florida Art Center creates artistic panels to be used in Art Deco hotels. 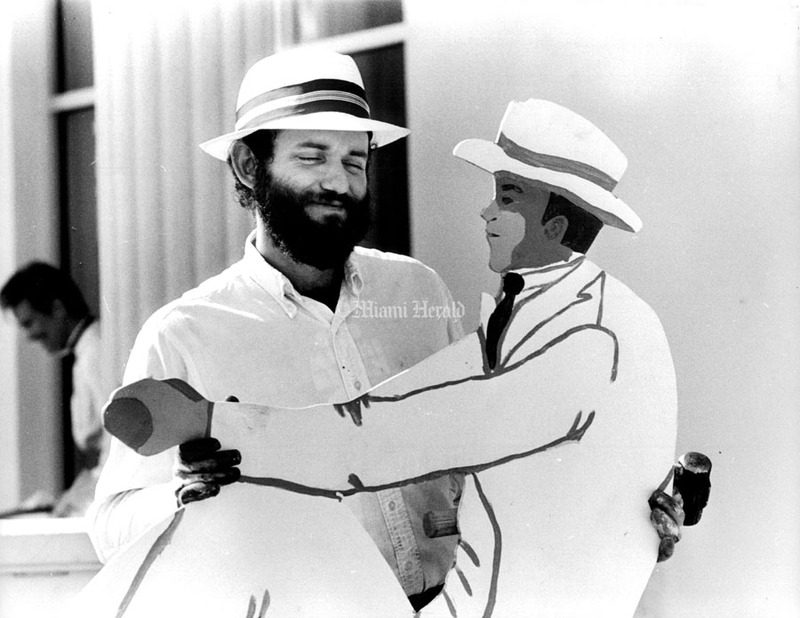 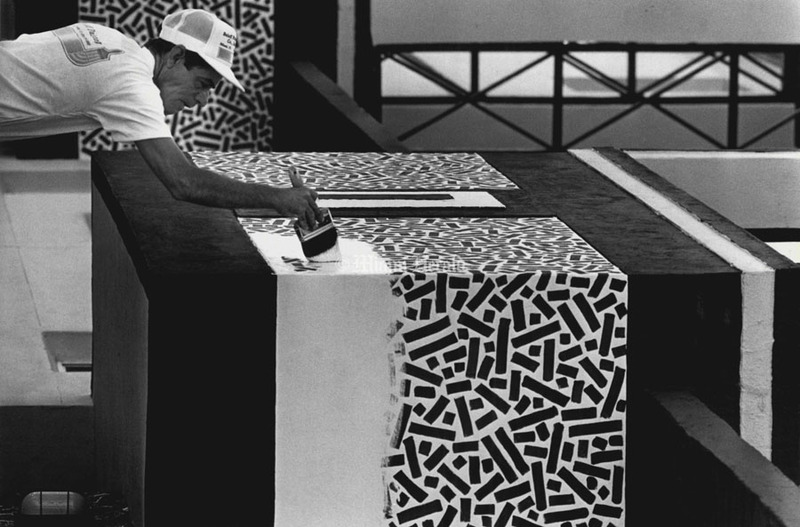 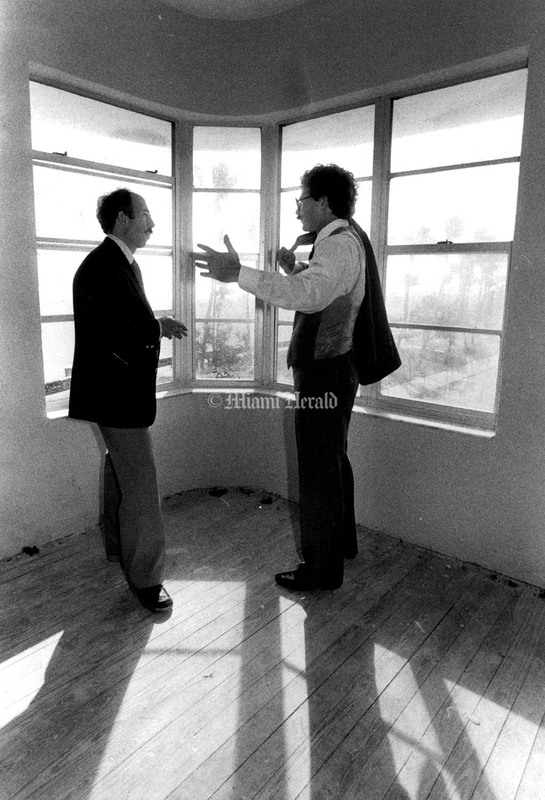 4/8/1988, Randy Bazemore/Miami Herald Staff: Guillermo Fernandez paints over the patterns of the Henderson Apts. 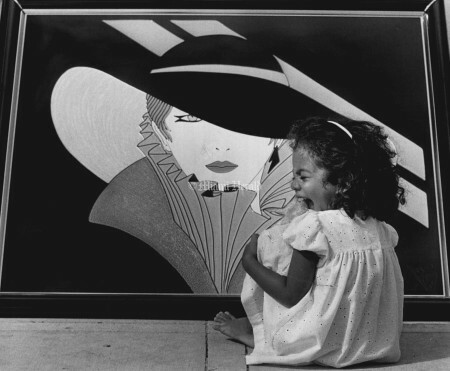 1/15/1988, Randy Bazemore/Miami Herald Staff: Judy London admires an Art Deco painting on lucite at the Art Deco Festival being held on Ocean Dr.
1/15/1984, Randy Bazemore/Miami Herald Staff: Lafayette Hotel 944 Collins Ave.